Manufacturer of quality domestic Roller Garage Doors. Located in the West Midlands, serving the whole of the UK with over 30 years of experience in every aspect of the door industry. ​Purchase with confidence and reassurance that our expert installers will fit a contemporary and admirable Roller Garage Door. With first class assistance helping you from initial interest, to choosing the right door and complete care throughout the manufacturing process and installation​. We also have a dedicated after sales care team ​that ​will be happy to help​ after​ your​ door has been installed. 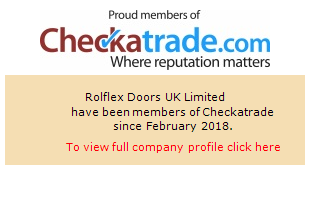 Look no further than Rolflex Doors UK.